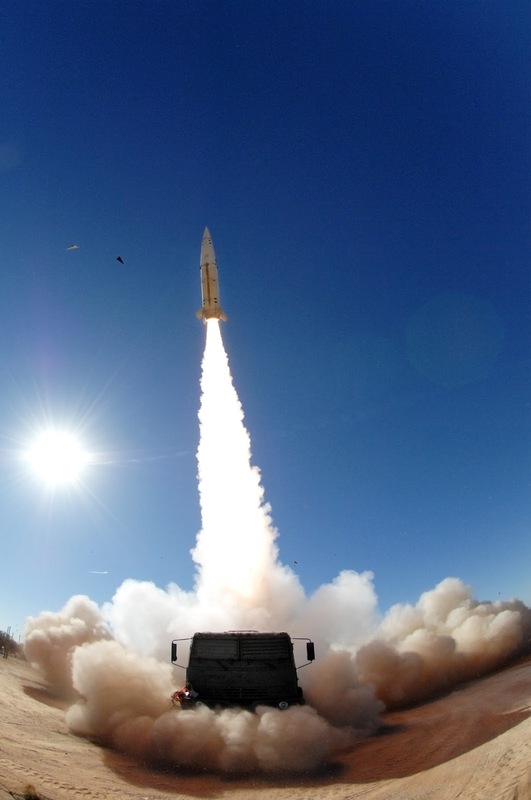 Lockheed Martin (NYSE: LMT) conducted another successful Army Tactical Missile System (ATACMS) modernization flight test recently at White Sands Missile Range, New Mexico. All test objectives were achieved. Launched from a Soldier-manned High Mobility Artillery Rocket System (HIMARS) launcher, the ATACMS missile flew approximately 140 kilometers and demonstrated a proximity sensor height-of-burst detonation over the target area. This is a new ATACMS feature that allows battlefield commanders to address imprecisely located or area targets. "This was our seventh consecutive successful test in the ATACMS modernization program," said Matt Berger, Precision Fires program manager at Lockheed Martin Missiles and Fire Control. "ATACMS is extremely accurate, affordable and mission-flexible, and is a missile our warfighters can rely upon when performance is most needed." This flight was a system-level test conducted in conjunction with the U.S. Army's Precision Fires Rocket & Missile Systems (PFRMS) Program Management Office. Other test objectives included confirming the missile's performance range and accuracy from launch to warhead event, and validating the interface with the HIMARS launcher, as well as testing system software performance. TACMS is the U.S. Army's only tactical long-range precision-strike surface-to-surface weapon system, and it provides combatant commanders with critical deep-strike capability to service high-value targets in all weather conditions. It can be fired from the entire family of Multiple Launch Rocket System (MLRS) launchers. The first production contract for Modernized ATACMS missiles for the U.S. Army was signed in August 2017, and called for the modernization of 150 missiles. As part of the U.S. Army's ATACMS Service Life Extension Program, the modernization process disassembles and demilitarizes ATACMS Block 1 and 1A submunition warheads, replacing them with new unitary warheads and bringing them into compliance with Department of Defense policy on cluster munitions. The modernization process also resets the missile's 10+ year shelf life. More than 600 TACMS missiles have been fired in combat, and the system has demonstrated extremely high rates of accuracy and reliability while in theater. Each ATACMS missile is packaged in a Guided Missile Launch Assembly pod, and is fired from the MLRS family of launchers. Two things stood out to me in this article. The first is that I didn't know that 600 had been fired in combat. If you asked me to guess it would have been south of 300. I'd sure like to know what they were targeting with those launches. The second is the range. 140 kilometers or in real talk 87 miles? I thought they were working on range extension. As things stand that is hardly impressive and is lacking when compared to peer weapons. We talk alot on these pages about the armor gap. We talk about how we're losing air superiority but we sometimes forget that in artillery and rocket artillery we're also behind the eight ball.